Etleap is a complete ETL solution built specifically for Amazon Redshift. It allows data teams to easily set up pipelines that extract data from any source and load clean and structured data into Amazon Redshift. It is a fully managed service, meaning that setup is straightforward, there’s no infrastructure to maintain, and your data engineers no longer have to spend time on ETL. Etleap has a powerful transformation engine that lets you clean, structure, and enrich your data without writing code. You specify your transformation steps through an intuitive interface based on a sample of the data, and Etleap automatically turns them into robust code. Data events like parsing errors and schema changes are handled seamlessly so you can rest assured that your data stays squeaky-clean. Any kind of data. Works great with both structured (e.g. MySQL, Postgres, Salesforce) and semi-structured (e.g. log files, MongoDB, Segment) sources. Complex transformations, no coding. Etleap’s data wrangler makes it easy to define any kind of data transformation to the source data. Common operations include parsing, extracting, translating, and filtering, and there’s no code to be written, tested and deployed. Advanced monitoring, low maintenance. Etleap makes sure that your pipelines are run continuously, and automatically notifies you about things like data quality issues and schema changes. No infrastructure. 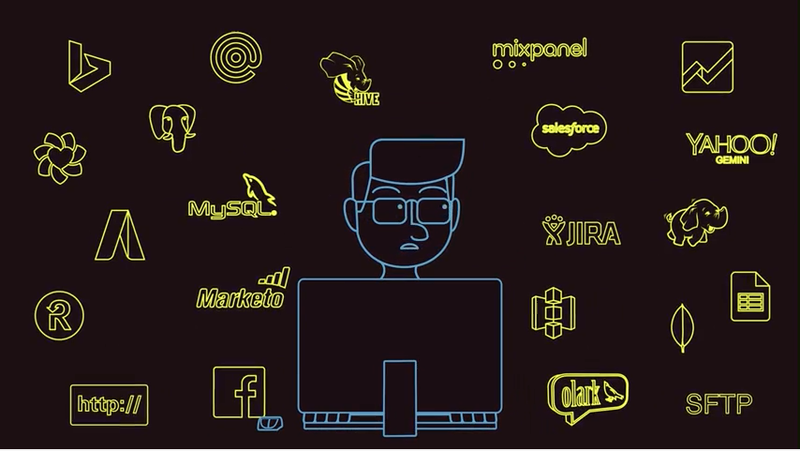 Our engineers have built robust data processing infrastructure so your team doesn’t have to. It scales automatically to handle any load. High data integrity. Battle-tested integrations means you can trust that your data is complete, up-to-date, and error-free. Complete visibility. High-level dashboard for overall status, and drill-down into individual ETL activities. Great support. Our data engineers are on call to help resolve any ETL issues. Connect your Amazon Redshift cluster and your data sources, like S3 buckets, SQL databases, Salesforce account, etc. Pick the source data you want to extract. If you need to transform the data, wrangle your data using Etleap’s interactive interface. That’s it! Etleap schedules and monitors the ETL activity and manages the Amazon Redshift schema. If we encounter any issues with your data or connections you’ll be notified.